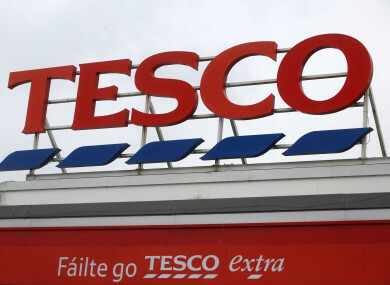 TESCO HAS RECLAIMED the position of Ireland’s most popular supermarket, but SuperValu and Dunnes Stores are close behind it. The latest Kantar Worldpanel supermarket shares show that Tesco accounted for 22.3% of the consumer spend over the course of the 12 weeks to 20 May, making it the country’s most popular supermarket. SuperValu came in second place with a 22% share of the spend, rising 0.8% on a similar period last year. Meanwhile, Dunnes Stores came in third position with 21.8% of the market share, up 2.6% on a similar period last year. Bargain supermarkets Lidl and Aldi took fourth and fifth place again this month with 11.4% and 11.3% of the consumer spend, respectively. Kantar Worldpanel noted that the introduction of the sugar tax in Ireland on 1 May has not yet been reflected in volume sales of carbonated soft drinks. Overall volume sales in May were up 4.8% on the same period last year. However, the firm said that this did coincide with a period of hot weather over the early May bank holiday, where other drinks categories, such as mineral water and fruit squash, also experienced volume increase. “A strategic emphasis on volume sales, particularly through its private label offering, has been key to Tesco becoming Ireland’s biggest grocer once again,” Douglas Faughnan, consumer insight director at Kantar Worldpanel, said. Email “Tesco retakes top spot in Ireland's supermarket wars ”. Feedback on “Tesco retakes top spot in Ireland's supermarket wars ”.